SANTA CLARA – Local dignitaries and members of the Harmon family broke ground Monday morning on the new Harmons Neighborhood Grocer being built at the intersection of Pioneer Parkway and Rachel Drive in Santa Clara, expected to open in February 2016. “We are very excited to be growing our second store to better serve Santa Clara and Ivins and the adjacent communities,” Bob Harmon told the crowd. Bob Harmon is one of the third generation to work in the family-owned business, and holds the position of vice president for the customer. “It’s the coolest title on the planet,” Bob Harmon said. The Harmons grocery store chain is in its 83rd year, and has been operating in St. George for almost 30 years, Bob Harmon said. The family is excited to be opening its 17th store in Santa Clara. Building another store in Southern Utah will allow St. George Harmons associates an opportunity for advancement, without having to move to northern Utah, Bob Harmon said. Four generations of the Harmon family are working in the business, and four generations were present for the celebration as well. Doreen Harmon, Bob Harmon’s mother and a member of the second generation of the family to be involved in the business, also spoke to the crowd. 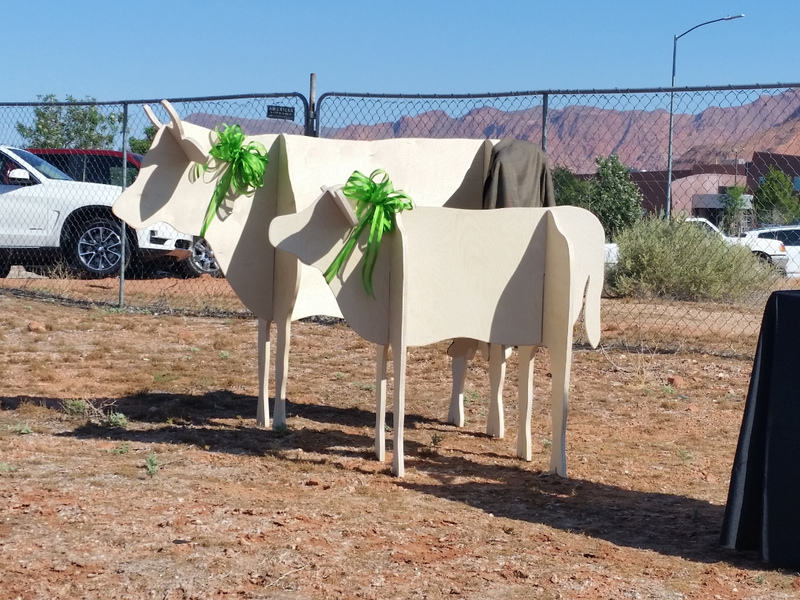 Mary Jo Hafen, Santa Clara City Council member and mayor pro tem, gave a brief history of Santa Clara, and presented Harmons with an unpainted wooden cow and calf. 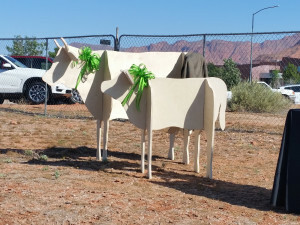 Hafen encouraged the company to participate in the Santa Clara Swiss Days tradition of decorating the cows and placing them on Santa Clara Drive during the weeks leading up to the annual celebration. Santa Clara City Council member Herb Basso also spoke at the groundbreaking, recognizing the presence of St. George City Mayor Jon Pike and Ivins City Mayor Chris Hart. “I invite you to come shop in our town,” Basso said. Harmons believes in giving back to the communities, Bob Harmon said, through support of Earning for Learning to raise money for schools, Teach to Taste for first grade students, and feeding the hungry with the Fresh Rescue and Utah Food Bank program – in addition to other charities. The company also believes in being a good steward through sustainability efforts including solar energy, recycling, reusable bags and other means to reduce the company’s impact, Bob Harmon said. 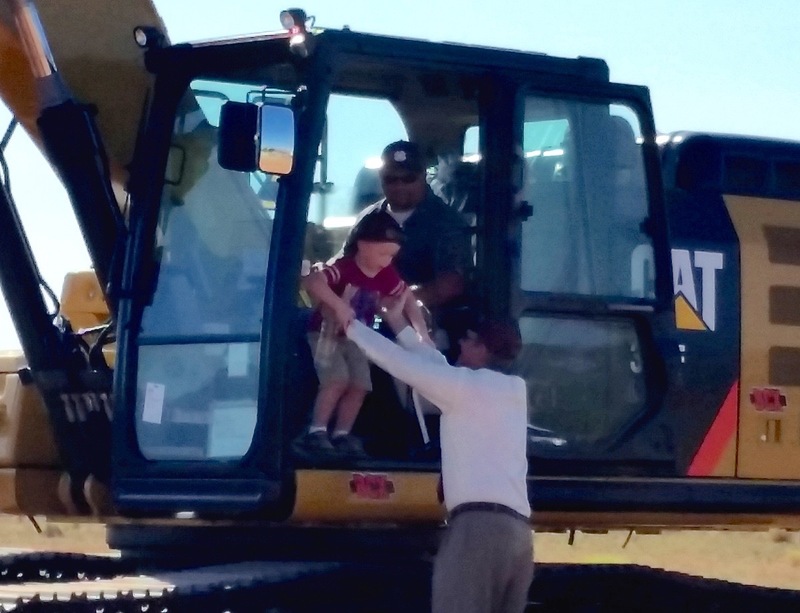 After the speeches, Bob Harmon used a track hoe provided by Bryce Christensen Excavating to officially break ground. Two of Bob Harmon’s grandsons also got a chance to operate the machinery, with a little help from a more experienced operator. The excavation company did the site preparation seven years ago, Harmons Vice President Frank Lundquist said. The new store was originally set to open in 2010, and the site preparation work had been underway, but then the recession hit, Lundquist said, and the project was put on hold. The new 67,000-square-foot store is expected to open Feb. 15, 2016, and employ 250-300 people. 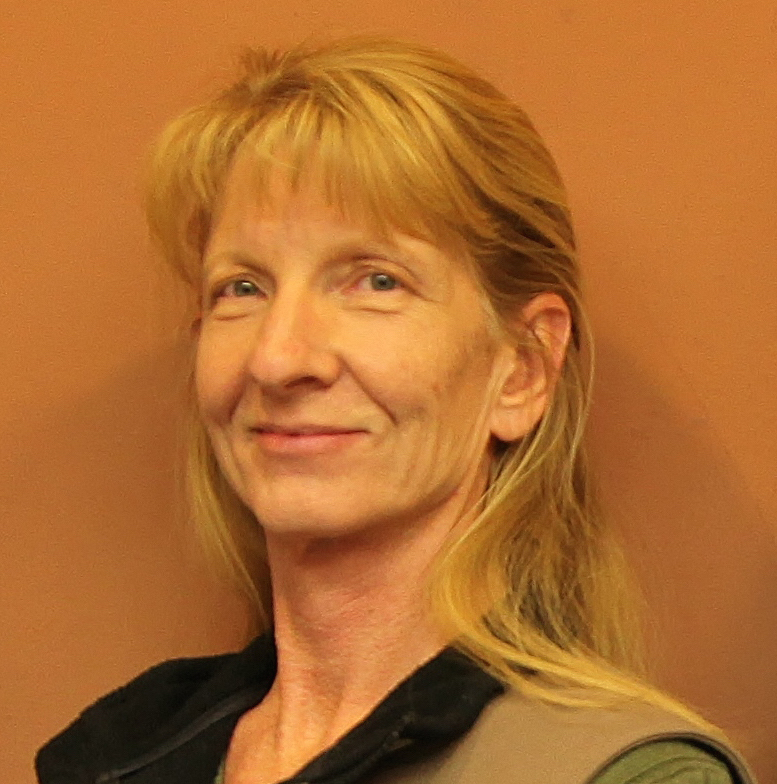 St. George News Videographer Sheldon Demke contributed the video to this report. I certainly hope that Smith’s new store will follow suit and employ solar on their new facility. Personally I would shop at a store with covered solar parking (as is being used in some other places already – not Utah) that has slightly higher prices than shop at a store that has no solar and lower prices. But then, unlike many (most? ), I don’t eat that much, so I suppose that makes a difference in ultimate food costs. We need more businesses to take the lead and get solar moving and become the norm.